Auto-Dimming Mirrors, Blind Spot Assist, COMAND®® w/Navigation, Compass, Dual Zone Climate Control, Garage Door Opener, harman/kardon®® Logic 7® Digital Surround, Heated Front Seats, Illuminated Star, iPod/MP3 Media Interface, Multimedia Package, Navigation Map Updates Included For 3-years, Panorama Sunroof, Premium Package, Rear-View Camera, SIRIUSXM Satellite Radio. Certified. Mercedes-Benz Certified Pre-Owned means you not only get the reassurance of an additional 12months Limited Warranty on top of the existing factory warranty or up to 100,000 miles of coverage. We also we do up to 154-point rigorous inspection / reconditioning, 24 hour roadside assistance, trip-interruption services, and a complete CARFAX vehicle history report. CARFAX One-Owner. Cirrus White 2015 Mercedes-Benz GLA 250 GLA 250 2.0L I4 DI Turbocharged FWD 7-Speed Automatic Clean CARFAX. Mercedes-Benz Certified Pre-Owned Details: * 165 Point Inspection * Roadside Assistance * Warranty Deductible: $0 * Includes Trip Interruption Reimbursement and 7 days/500 miles Exchange Privilege * Transferable Warranty * Vehicle History * Limited Warranty: 12 Month/Unlimited Mile beginning after new car warranty expires or from certified purchase date Plus government fees and taxes, any finance charges, $80 dealer document processing charge, any electronic filing charge and any emission testing charge. Some of our Pre-Owned vehicles may be subject to unrepaired safety recalls. Check for a vehicle's unrepaired recalls by VIN at http://vinrcl.safercar.gov/vin/Auto-Dimming Mirrors, Blind Spot Assist, COMAND®® w/Navigation, Compass, Dual Zone Climate Control, Garage Door Opener, harman/kardon®® Logic 7® Digital Surround, Heated Front Seats, Illuminated Star, iPod/MP3 Media Interface, Multimedia Package, Navigation Map Updates Included For 3-years, Panorama Sunroof, Premium Package, Rear-View Camera, SIRIUSXM Satellite Radio. Certified. Mercedes-Benz Certified Pre-Owned means you not only get the reassurance of an additional 12months Limited Warranty on top of the existing factory warranty or up to 100,000 miles of coverage. We also we do up to 154-point rigorous inspection / reconditioning, 24 hour roadside assistance, trip-interruption services, and a complete CARFAX vehicle history report. CARFAX One-Owner. Cirrus White 2015 Mercedes-Benz GLA 250 GLA 250 2.0L I4 DI Turbocharged FWD 7-Speed Automatic Clean CARFAX. AMG® Body Styling, Diamond Grille w/Silver Pins, Illuminated Star, Panorama Sunroof, Sport Package, Sport Suspension, Wheels: 18" 5-Spoke AMG®. Certified. Mercedes-Benz Certified Pre-Owned means you not only get the reassurance of an additional 12months Limited Warranty on top of the existing factory warranty or up to 100,000 miles of coverage. We also we do up to 154-point rigorous inspection / reconditioning, 24 hour roadside assistance, trip-interruption services, and a complete CARFAX vehicle history report. Odometer is 8628 miles below market average! CARFAX One-Owner. Jupiter Red 2015 Mercedes-Benz CLA 250 SPORT 2.0L I4 Turbocharged FWD 7-Speed Double-clutch Clean CARFAX. Mercedes-Benz Certified Pre-Owned Details: * Warranty Deductible: $0 * Vehicle History * Includes Trip Interruption Reimbursement and 7 days/500 miles Exchange Privilege * Transferable Warranty * Roadside Assistance * 165 Point Inspection * Limited Warranty: 12 Month/Unlimited Mile beginning after new car warranty expires or from certified purchase date Plus government fees and taxes, any finance charges, $80 dealer document processing charge, any electronic filing charge and any emission testing charge. Some of our Pre-Owned vehicles may be subject to unrepaired safety recalls. Check for a vehicle's unrepaired recalls by VIN at http://vinrcl.safercar.gov/vin/AMG® Body Styling, Diamond Grille w/Silver Pins, Illuminated Star, Panorama Sunroof, Sport Package, Sport Suspension, Wheels: 18" 5-Spoke AMG®. Certified. Mercedes-Benz Certified Pre-Owned means you not only get the reassurance of an additional 12months Limited Warranty on top of the existing factory warranty or up to 100,000 miles of coverage. We also we do up to 154-point rigorous inspection / reconditioning, 24 hour roadside assistance, trip-interruption services, and a complete CARFAX vehicle history report. Odometer is 8628 miles below market average! CARFAX One-Owner. Jupiter Red 2015 Mercedes-Benz CLA 250 SPORT 2.0L I4 Turbocharged FWD 7-Speed Double-clutch Clean CARFAX. Auto-Dimming Mirrors, Blind Spot Assist, Compass, Garage Door Opener, harman/kardon® Sound System, Heated Front Seats, KEYLESS GO®, Panorama Sunroof, Premium 1 Package, SiriusXM Satellite Radio. Certified. Mercedes-Benz Certified Pre-Owned means you not only get the reassurance of an additional 12months Limited Warranty on top of the existing factory warranty or up to 100,000 miles of coverage. We also we do up to 154-point rigorous inspection / reconditioning, 24 hour roadside assistance, trip-interruption services, and a complete CARFAX vehicle history report. Odometer is 1188 miles below market average! CARFAX One-Owner. Priced below KBB Fair Purchase Price! Black 2016 Mercedes-Benz CLA 250 CAL 250 2.0L I4 Turbocharged FWD 7-Speed Double-clutch Clean CARFAX. Mercedes-Benz Certified Pre-Owned Details: * Transferable Warranty * Warranty Deductible: $0 * Vehicle History * 165 Point Inspection * Includes Trip Interruption Reimbursement and 7 days/500 miles Exchange Privilege * Limited Warranty: 12 Month/Unlimited Mile beginning after new car warranty expires or from certified purchase date * Roadside Assistance Plus government fees and taxes, any finance charges, $80 dealer document processing charge, any electronic filing charge and any emission testing charge. Some of our Pre-Owned vehicles may be subject to unrepaired safety recalls. Check for a vehicle's unrepaired recalls by VIN at http://vinrcl.safercar.gov/vin/Auto-Dimming Mirrors, Blind Spot Assist, Compass, Garage Door Opener, harman/kardon® Sound System, Heated Front Seats, KEYLESS GO®, Panorama Sunroof, Premium 1 Package, SiriusXM Satellite Radio. Certified. Mercedes-Benz Certified Pre-Owned means you not only get the reassurance of an additional 12months Limited Warranty on top of the existing factory warranty or up to 100,000 miles of coverage. We also we do up to 154-point rigorous inspection / reconditioning, 24 hour roadside assistance, trip-interruption services, and a complete CARFAX vehicle history report. Odometer is 1188 miles below market average! CARFAX One-Owner. Priced below KBB Fair Purchase Price! Black 2016 Mercedes-Benz CLA 250 CAL 250 2.0L I4 Turbocharged FWD 7-Speed Double-clutch Clean CARFAX. New Price! Certified. Mercedes-Benz Certified Pre-Owned means you not only get the reassurance of an additional 12months Limited Warranty on top of the existing factory warranty or up to 100,000 miles of coverage. We also we do up to 154-point rigorous inspection / reconditioning, 24 hour roadside assistance, trip-interruption services, and a complete CARFAX vehicle history report. CARFAX One-Owner. Cirrus White 2016 Mercedes-Benz GLA 250 4MATIC® 2.0L I4 DI Turbocharged 4MATIC® 7-Speed Automatic Clean CARFAX. Mercedes-Benz Certified Pre-Owned Details: * 165 Point Inspection * Includes Trip Interruption Reimbursement and 7 days/500 miles Exchange Privilege * Transferable Warranty * Warranty Deductible: $0 * Limited Warranty: 12 Month/Unlimited Mile beginning after new car warranty expires or from certified purchase date * Vehicle History * Roadside Assistance Plus government fees and taxes, any finance charges, $80 dealer document processing charge, any electronic filing charge and any emission testing charge. Some of our Pre-Owned vehicles may be subject to unrepaired safety recalls. Check for a vehicle's unrepaired recalls by VIN at http://vinrcl.safercar.gov/vin/New Price! Certified. Mercedes-Benz Certified Pre-Owned means you not only get the reassurance of an additional 12months Limited Warranty on top of the existing factory warranty or up to 100,000 miles of coverage. We also we do up to 154-point rigorous inspection / reconditioning, 24 hour roadside assistance, trip-interruption services, and a complete CARFAX vehicle history report. CARFAX One-Owner. Cirrus White 2016 Mercedes-Benz GLA 250 4MATIC® 2.0L I4 DI Turbocharged 4MATIC® 7-Speed Automatic Clean CARFAX. REAR VIEW CAMERA, 4MATIC®, Panorama Sunroof. Certified. Mercedes-Benz Certified Pre-Owned means you not only get the reassurance of an additional 12months Limited Warranty on top of the existing factory warranty or up to 100,000 miles of coverage. We also we do up to 154-point rigorous inspection / reconditioning, 24 hour roadside assistance, trip-interruption services, and a complete CARFAX vehicle history report. Odometer is 1662 miles below market average! Polar White 2015 Mercedes-Benz C-Class C 300 4MATIC® 2.0L I4 Turbocharged 4MATIC® 7G-TRONIC PLUS 7-Speed Automatic Clean CARFAX. Mercedes-Benz Certified Pre-Owned Details: * Transferable Warranty * Vehicle History * Includes Trip Interruption Reimbursement and 7 days/500 miles Exchange Privilege * Limited Warranty: 12 Month/Unlimited Mile beginning after new car warranty expires or from certified purchase date * Warranty Deductible: $0 * 165 Point Inspection * Roadside Assistance Plus government fees and taxes, any finance charges, $80 dealer document processing charge, any electronic filing charge and any emission testing charge. Some of our Pre-Owned vehicles may be subject to unrepaired safety recalls. Check for a vehicle's unrepaired recalls by VIN at http://vinrcl.safercar.gov/vin/REAR VIEW CAMERA, 4MATIC®, Panorama Sunroof. Certified. Mercedes-Benz Certified Pre-Owned means you not only get the reassurance of an additional 12months Limited Warranty on top of the existing factory warranty or up to 100,000 miles of coverage. We also we do up to 154-point rigorous inspection / reconditioning, 24 hour roadside assistance, trip-interruption services, and a complete CARFAX vehicle history report. Odometer is 1662 miles below market average! Polar White 2015 Mercedes-Benz C-Class C 300 4MATIC® 2.0L I4 Turbocharged 4MATIC® 7G-TRONIC PLUS 7-Speed Automatic Clean CARFAX. Active Blind Spot Assist, Artico Instrument Cluster, Blind Spot Assist, KEYLESS GO®, Luxury Package, Panorama Sunroof, Premium 1 Package, Rear-View Camera, SiriusXM Satellite Radio, Surround Light Mirror Mounted Entry Lamps. New Price! Certified. Mercedes-Benz Certified Pre-Owned means you not only get the reassurance of an additional 12months Limited Warranty on top of the existing factory warranty or up to 100,000 miles of coverage. We also we do up to 154-point rigorous inspection / reconditioning, 24 hour roadside assistance, trip-interruption services, and a complete CARFAX vehicle history report. CARFAX One-Owner. Black 2016 Mercedes-Benz C-Class C 300 C 300 2.0L I4 Turbocharged RWD 7G-TRONIC PLUS 7-Speed Automatic Clean CARFAX. Mercedes-Benz Certified Pre-Owned Details: * Limited Warranty: 12 Month/Unlimited Mile beginning after new car warranty expires or from certified purchase date * Transferable Warranty * Warranty Deductible: $0 * Includes Trip Interruption Reimbursement and 7 days/500 miles Exchange Privilege * Roadside Assistance * 165 Point Inspection * Vehicle History Plus government fees and taxes, any finance charges, $80 dealer document processing charge, any electronic filing charge and any emission testing charge. Some of our Pre-Owned vehicles may be subject to unrepaired safety recalls. Check for a vehicle's unrepaired recalls by VIN at http://vinrcl.safercar.gov/vin/Active Blind Spot Assist, Artico Instrument Cluster, Blind Spot Assist, KEYLESS GO®, Luxury Package, Panorama Sunroof, Premium 1 Package, Rear-View Camera, SiriusXM Satellite Radio, Surround Light Mirror Mounted Entry Lamps. New Price! Certified. Mercedes-Benz Certified Pre-Owned means you not only get the reassurance of an additional 12months Limited Warranty on top of the existing factory warranty or up to 100,000 miles of coverage. We also we do up to 154-point rigorous inspection / reconditioning, 24 hour roadside assistance, trip-interruption services, and a complete CARFAX vehicle history report. CARFAX One-Owner. Black 2016 Mercedes-Benz C-Class C 300 C 300 2.0L I4 Turbocharged RWD 7G-TRONIC PLUS 7-Speed Automatic Clean CARFAX. REAR VIEW CAMERA, AMG® Sportline, Blind Spot Assist, Illuminated Star, Panorama Sunroof, Sport Appearance Package, Sport Package. New Price! Certified. Mercedes-Benz Certified Pre-Owned means you not only get the reassurance of an additional 12months Limited Warranty on top of the existing factory warranty or up to 100,000 miles of coverage. We also we do up to 154-point rigorous inspection / reconditioning, 24 hour roadside assistance, trip-interruption services, and a complete CARFAX vehicle history report. CARFAX One-Owner. Cirrus White 2016 Mercedes-Benz GLA 250 SPORT 2.0L I4 DI Turbocharged FWD 7-Speed Automatic Clean CARFAX. Mercedes-Benz Certified Pre-Owned Details: * Includes Trip Interruption Reimbursement and 7 days/500 miles Exchange Privilege * Warranty Deductible: $0 * 165 Point Inspection * Limited Warranty: 12 Month/Unlimited Mile beginning after new car warranty expires or from certified purchase date * Transferable Warranty * Vehicle History * Roadside Assistance Plus government fees and taxes, any finance charges, $80 dealer document processing charge, any electronic filing charge and any emission testing charge. Some of our Pre-Owned vehicles may be subject to unrepaired safety recalls. Check for a vehicle's unrepaired recalls by VIN at http://vinrcl.safercar.gov/vin/REAR VIEW CAMERA, AMG® Sportline, Blind Spot Assist, Illuminated Star, Panorama Sunroof, Sport Appearance Package, Sport Package. New Price! Certified. Mercedes-Benz Certified Pre-Owned means you not only get the reassurance of an additional 12months Limited Warranty on top of the existing factory warranty or up to 100,000 miles of coverage. We also we do up to 154-point rigorous inspection / reconditioning, 24 hour roadside assistance, trip-interruption services, and a complete CARFAX vehicle history report. CARFAX One-Owner. Cirrus White 2016 Mercedes-Benz GLA 250 SPORT 2.0L I4 DI Turbocharged FWD 7-Speed Automatic Clean CARFAX. Blind Spot Assist, Rear-View Camera. Certified. Mercedes-Benz Certified Pre-Owned means you not only get the reassurance of an additional 12months Limited Warranty on top of the existing factory warranty or up to 100,000 miles of coverage. We also we do up to 154-point rigorous inspection / reconditioning, 24 hour roadside assistance, trip-interruption services, and a complete CARFAX vehicle history report. Odometer is 17778 miles below market average! CARFAX One-Owner. Priced below KBB Fair Purchase Price! Polar Silver Metallic 2016 Mercedes-Benz CLA 250 CLA 250 2.0L I4 Turbocharged FWD 7-Speed Double-clutch Clean CARFAX. Mercedes-Benz Certified Pre-Owned Details: * Transferable Warranty * 165 Point Inspection * Vehicle History * Includes Trip Interruption Reimbursement and 7 days/500 miles Exchange Privilege * Roadside Assistance * Limited Warranty: 12 Month/Unlimited Mile beginning after new car warranty expires or from certified purchase date * Warranty Deductible: $0 Plus government fees and taxes, any finance charges, $80 dealer document processing charge, any electronic filing charge and any emission testing charge. Some of our Pre-Owned vehicles may be subject to unrepaired safety recalls. Check for a vehicle's unrepaired recalls by VIN at http://vinrcl.safercar.gov/vin/Blind Spot Assist, Rear-View Camera. Certified. Mercedes-Benz Certified Pre-Owned means you not only get the reassurance of an additional 12months Limited Warranty on top of the existing factory warranty or up to 100,000 miles of coverage. We also we do up to 154-point rigorous inspection / reconditioning, 24 hour roadside assistance, trip-interruption services, and a complete CARFAX vehicle history report. Odometer is 17778 miles below market average! CARFAX One-Owner. Priced below KBB Fair Purchase Price! Polar Silver Metallic 2016 Mercedes-Benz CLA 250 CLA 250 2.0L I4 Turbocharged FWD 7-Speed Double-clutch Clean CARFAX. Auto-Dimming Mirrors, Blind Spot Assist, COMAND® System w/Hard Drive Navigation, DVD Player, Garage Door Opener, harman/kardon®® Logic 7® Audio System, Heated Front Seats, KEYLESS GO®, Multimedia Package, Panorama Sunroof, Premium Package, Rear-View Camera, Single CD/DVD Player, SIRIUSXM Satellite Radio, SiriusXM Traffic & Weather, Voice Control. Certified. Mercedes-Benz Certified Pre-Owned means you not only get the reassurance of an additional 12months Limited Warranty on top of the existing factory warranty or up to 100,000 miles of coverage. We also we do up to 154-point rigorous inspection / reconditioning, 24 hour roadside assistance, trip-interruption services, and a complete CARFAX vehicle history report. CARFAX One-Owner. Cirrus White 2016 Mercedes-Benz GLA 250 GLA 250 2.0L I4 DI Turbocharged FWD 7-Speed Automatic Mercedes-Benz Certified Pre-Owned Details: * Vehicle History * 165 Point Inspection * Warranty Deductible: $0 * Includes Trip Interruption Reimbursement and 7 days/500 miles Exchange Privilege * Transferable Warranty * Roadside Assistance * Limited Warranty: 12 Month/Unlimited Mile beginning after new car warranty expires or from certified purchase date Plus government fees and taxes, any finance charges, $80 dealer document processing charge, any electronic filing charge and any emission testing charge. Some of our Pre-Owned vehicles may be subject to unrepaired safety recalls. Check for a vehicle's unrepaired recalls by VIN at http://vinrcl.safercar.gov/vin/Auto-Dimming Mirrors, Blind Spot Assist, COMAND® System w/Hard Drive Navigation, DVD Player, Garage Door Opener, harman/kardon®® Logic 7® Audio System, Heated Front Seats, KEYLESS GO®, Multimedia Package, Panorama Sunroof, Premium Package, Rear-View Camera, Single CD/DVD Player, SIRIUSXM Satellite Radio, SiriusXM Traffic & Weather, Voice Control. Certified. Mercedes-Benz Certified Pre-Owned means you not only get the reassurance of an additional 12months Limited Warranty on top of the existing factory warranty or up to 100,000 miles of coverage. We also we do up to 154-point rigorous inspection / reconditioning, 24 hour roadside assistance, trip-interruption services, and a complete CARFAX vehicle history report. CARFAX One-Owner. Blind Spot Assist, Illuminated Star, Rear-View Camera, Sport Appearance Package. Certified. Mercedes-Benz Certified Pre-Owned means you not only get the reassurance of an additional 12months Limited Warranty on top of the existing factory warranty or up to 100,000 miles of coverage. We also we do up to 154-point rigorous inspection / reconditioning, 24 hour roadside assistance, trip-interruption services, and a complete CARFAX vehicle history report. Odometer is 2593 miles below market average! CARFAX One-Owner. Cirrus White 2016 Mercedes-Benz GLA 250 SPORT 2.0L I4 DI Turbocharged FWD 7-Speed Automatic Clean CARFAX. Mercedes-Benz Certified Pre-Owned Details: * Vehicle History * Transferable Warranty * Limited Warranty: 12 Month/Unlimited Mile beginning after new car warranty expires or from certified purchase date * Roadside Assistance * 165 Point Inspection * Warranty Deductible: $0 * Includes Trip Interruption Reimbursement and 7 days/500 miles Exchange Privilege Plus government fees and taxes, any finance charges, $80 dealer document processing charge, any electronic filing charge and any emission testing charge. Some of our Pre-Owned vehicles may be subject to unrepaired safety recalls. Check for a vehicle's unrepaired recalls by VIN at http://vinrcl.safercar.gov/vin/Blind Spot Assist, Illuminated Star, Rear-View Camera, Sport Appearance Package. Certified. Mercedes-Benz Certified Pre-Owned means you not only get the reassurance of an additional 12months Limited Warranty on top of the existing factory warranty or up to 100,000 miles of coverage. We also we do up to 154-point rigorous inspection / reconditioning, 24 hour roadside assistance, trip-interruption services, and a complete CARFAX vehicle history report. Odometer is 2593 miles below market average! CARFAX One-Owner. AMG® Sportline, Blind Spot Assist, Illuminated Star, Panorama Sunroof, Rear-View Camera, Sport Appearance Package, Sport Package. New Price! Certified. Mercedes-Benz Certified Pre-Owned means you not only get the reassurance of an additional 12months Limited Warranty on top of the existing factory warranty or up to 100,000 miles of coverage. We also we do up to 154-point rigorous inspection / reconditioning, 24 hour roadside assistance, trip-interruption services, and a complete CARFAX vehicle history report. Odometer is 1368 miles below market average! CARFAX One-Owner. Cirrus White 2016 Mercedes-Benz GLA 250 SPORT 2.0L I4 DI Turbocharged FWD 7-Speed Automatic Clean CARFAX. Mercedes-Benz Certified Pre-Owned Details: * 165 Point Inspection * Includes Trip Interruption Reimbursement and 7 days/500 miles Exchange Privilege * Limited Warranty: 12 Month/Unlimited Mile beginning after new car warranty expires or from certified purchase date * Warranty Deductible: $0 * Roadside Assistance * Vehicle History * Transferable Warranty Plus government fees and taxes, any finance charges, $80 dealer document processing charge, any electronic filing charge and any emission testing charge. Some of our Pre-Owned vehicles may be subject to unrepaired safety recalls. Check for a vehicle's unrepaired recalls by VIN at http://vinrcl.safercar.gov/vin/AMG® Sportline, Blind Spot Assist, Illuminated Star, Panorama Sunroof, Rear-View Camera, Sport Appearance Package, Sport Package. New Price! Certified. Mercedes-Benz Certified Pre-Owned means you not only get the reassurance of an additional 12months Limited Warranty on top of the existing factory warranty or up to 100,000 miles of coverage. We also we do up to 154-point rigorous inspection / reconditioning, 24 hour roadside assistance, trip-interruption services, and a complete CARFAX vehicle history report. Odometer is 1368 miles below market average! CARFAX One-Owner. Active Blind Spot Assist, Blind Spot Assist, COMAND® Navigation & Voice Control, Illuminated Star, KEYLESS GO®, Multimedia Package, Navigation Map Updates Included For 3 Years, Panorama Sunroof, Premium 1 Package, SiriusXM Satellite Radio, SiriusXM Traffic and Weather Services, Surround Light Mirror Mounted Entry Lamps. Certified. Mercedes-Benz Certified Pre-Owned means you not only get the reassurance of an additional 12months Limited Warranty on top of the existing factory warranty or up to 100,000 miles of coverage. We also we do up to 154-point rigorous inspection / reconditioning, 24 hour roadside assistance, trip-interruption services, and a complete CARFAX vehicle history report. CARFAX One-Owner. Priced below KBB Fair Purchase Price! Palladium Silver 2016 Mercedes-Benz C-Class C 300 C 300 2.0L I4 Turbocharged RWD 7G-TRONIC PLUS 7-Speed Automatic Clean CARFAX. Mercedes-Benz Certified Pre-Owned Details: * 165 Point Inspection * Warranty Deductible: $0 * Roadside Assistance * Includes Trip Interruption Reimbursement and 7 days/500 miles Exchange Privilege * Transferable Warranty * Vehicle History * Limited Warranty: 12 Month/Unlimited Mile beginning after new car warranty expires or from certified purchase date Plus government fees and taxes, any finance charges, $80 dealer document processing charge, any electronic filing charge and any emission testing charge. Some of our Pre-Owned vehicles may be subject to unrepaired safety recalls. Check for a vehicle's unrepaired recalls by VIN at http://vinrcl.safercar.gov/vin/Active Blind Spot Assist, Blind Spot Assist, COMAND® Navigation & Voice Control, Illuminated Star, KEYLESS GO®, Multimedia Package, Navigation Map Updates Included For 3 Years, Panorama Sunroof, Premium 1 Package, SiriusXM Satellite Radio, SiriusXM Traffic and Weather Services, Surround Light Mirror Mounted Entry Lamps. Certified. Mercedes-Benz Certified Pre-Owned means you not only get the reassurance of an additional 12months Limited Warranty on top of the existing factory warranty or up to 100,000 miles of coverage. We also we do up to 154-point rigorous inspection / reconditioning, 24 hour roadside assistance, trip-interruption services, and a complete CARFAX vehicle history report. CARFAX One-Owner. Priced below KBB Fair Purchase Price! Palladium Silver 2016 Mercedes-Benz C-Class C 300 C 300 2.0L I4 Turbocharged RWD 7G-TRONIC PLUS 7-Speed Automatic Clean CARFAX. REAR VIEW CAMERA, Aluminum Trim, AMG® Body Styling, Brushed Aluminum Sport Pedals, Diamond Grille w/Silver Pins, Red Inlays in Front and Rear Bumper, Red Painted Brake Calipers, Sport Appearance Package, SPORT Badge on Fenders and Floormats, Sport Package, Sport Package Plus, Sport Steering Wheel w/Flat Bottom, Sport Suspension, Wheels: 18" AMG® (774). Certified. Mercedes-Benz Certified Pre-Owned means you not only get the reassurance of an additional 12months Limited Warranty on top of the existing factory warranty or up to 100,000 miles of coverage. We also we do up to 154-point rigorous inspection / reconditioning, 24 hour roadside assistance, trip-interruption services, and a complete CARFAX vehicle history report. Odometer is 11485 miles below market average! CARFAX One-Owner. Cirrus White 2016 Mercedes-Benz CLA 250 SRORT 2.0L I4 Turbocharged FWD 7-Speed Double-clutch Clean CARFAX. Mercedes-Benz Certified Pre-Owned Details: * Warranty Deductible: $0 * Includes Trip Interruption Reimbursement and 7 days/500 miles Exchange Privilege * 165 Point Inspection * Limited Warranty: 12 Month/Unlimited Mile beginning after new car warranty expires or from certified purchase date * Transferable Warranty * Vehicle History * Roadside Assistance Plus government fees and taxes, any finance charges, $80 dealer document processing charge, any electronic filing charge and any emission testing charge. Some of our Pre-Owned vehicles may be subject to unrepaired safety recalls. Check for a vehicle's unrepaired recalls by VIN at http://vinrcl.safercar.gov/vin/REAR VIEW CAMERA, Aluminum Trim, AMG® Body Styling, Brushed Aluminum Sport Pedals, Diamond Grille w/Silver Pins, Red Inlays in Front and Rear Bumper, Red Painted Brake Calipers, Sport Appearance Package, SPORT Badge on Fenders and Floormats, Sport Package, Sport Package Plus, Sport Steering Wheel w/Flat Bottom, Sport Suspension, Wheels: 18" AMG® (774). Certified. Mercedes-Benz Certified Pre-Owned means you not only get the reassurance of an additional 12months Limited Warranty on top of the existing factory warranty or up to 100,000 miles of coverage. We also we do up to 154-point rigorous inspection / reconditioning, 24 hour roadside assistance, trip-interruption services, and a complete CARFAX vehicle history report. Odometer is 11485 miles below market average! CARFAX One-Owner. Cirrus White 2016 Mercedes-Benz CLA 250 SRORT 2.0L I4 Turbocharged FWD 7-Speed Double-clutch Clean CARFAX. REAR VIEW CAMERA, Active Blind Spot Assist, Blind Spot Assist, KEYLESS GO®, Panorama Sunroof, Premium 1 Package, SiriusXM Satellite Radio, Surround Light Mirror Mounted Entry Lamps. Certified. Mercedes-Benz Certified Pre-Owned means you not only get the reassurance of an additional 12months Limited Warranty on top of the existing factory warranty or up to 100,000 miles of coverage. We also we do up to 154-point rigorous inspection / reconditioning, 24 hour roadside assistance, trip-interruption services, and a complete CARFAX vehicle history report. CARFAX One-Owner. Priced below KBB Fair Purchase Price! Black 2016 Mercedes-Benz C-Class C 300 C 300 2.0L I4 Turbocharged RWD 7G-TRONIC PLUS 7-Speed Automatic Clean CARFAX. Mercedes-Benz Certified Pre-Owned Details: * Warranty Deductible: $0 * Limited Warranty: 12 Month/Unlimited Mile beginning after new car warranty expires or from certified purchase date * Vehicle History * Includes Trip Interruption Reimbursement and 7 days/500 miles Exchange Privilege * 165 Point Inspection * Roadside Assistance * Transferable Warranty Plus government fees and taxes, any finance charges, $80 dealer document processing charge, any electronic filing charge and any emission testing charge. Some of our Pre-Owned vehicles may be subject to unrepaired safety recalls. Check for a vehicle's unrepaired recalls by VIN at http://vinrcl.safercar.gov/vin/REAR VIEW CAMERA, Active Blind Spot Assist, Blind Spot Assist, KEYLESS GO®, Panorama Sunroof, Premium 1 Package, SiriusXM Satellite Radio, Surround Light Mirror Mounted Entry Lamps. Certified. Mercedes-Benz Certified Pre-Owned means you not only get the reassurance of an additional 12months Limited Warranty on top of the existing factory warranty or up to 100,000 miles of coverage. We also we do up to 154-point rigorous inspection / reconditioning, 24 hour roadside assistance, trip-interruption services, and a complete CARFAX vehicle history report. CARFAX One-Owner. Priced below KBB Fair Purchase Price! 4MATIC®, Active Blind Spot Assist, COMAND® Navigation & Voice Control, KEYLESS GO®, Multimedia Package, Navigation Map Updates Included For 3 Years, Panorama Sunroof, Premium 1 Package, SiriusXM Satellite Radio, SiriusXM Traffic and Weather Services, Surround Light Mirror Mounted Entry Lamps. Certified. Mercedes-Benz Certified Pre-Owned means you not only get the reassurance of an additional 12months Limited Warranty on top of the existing factory warranty or up to 100,000 miles of coverage. We also we do up to 154-point rigorous inspection / reconditioning, 24 hour roadside assistance, trip-interruption services, and a complete CARFAX vehicle history report. CARFAX One-Owner. Priced below KBB Fair Purchase Price! Palladium Silver Metallic 2016 Mercedes-Benz C-Class C 300 4MATIC® 2.0L I4 Turbocharged 4MATIC® 7G-TRONIC PLUS 7-Speed Automatic Clean CARFAX. Mercedes-Benz Certified Pre-Owned Details: * Limited Warranty: 12 Month/Unlimited Mile beginning after new car warranty expires or from certified purchase date * Includes Trip Interruption Reimbursement and 7 days/500 miles Exchange Privilege * 165 Point Inspection * Roadside Assistance * Warranty Deductible: $0 * Vehicle History * Transferable Warranty Plus government fees and taxes, any finance charges, $80 dealer document processing charge, any electronic filing charge and any emission testing charge. Some of our Pre-Owned vehicles may be subject to unrepaired safety recalls. Check for a vehicle's unrepaired recalls by VIN at http://vinrcl.safercar.gov/vin/4MATIC®, Active Blind Spot Assist, COMAND® Navigation & Voice Control, KEYLESS GO®, Multimedia Package, Navigation Map Updates Included For 3 Years, Panorama Sunroof, Premium 1 Package, SiriusXM Satellite Radio, SiriusXM Traffic and Weather Services, Surround Light Mirror Mounted Entry Lamps. Certified. Mercedes-Benz Certified Pre-Owned means you not only get the reassurance of an additional 12months Limited Warranty on top of the existing factory warranty or up to 100,000 miles of coverage. We also we do up to 154-point rigorous inspection / reconditioning, 24 hour roadside assistance, trip-interruption services, and a complete CARFAX vehicle history report. CARFAX One-Owner. Priced below KBB Fair Purchase Price! Palladium Silver Metallic 2016 Mercedes-Benz C-Class C 300 4MATIC® 2.0L I4 Turbocharged 4MATIC® 7G-TRONIC PLUS 7-Speed Automatic Clean CARFAX. Auto-Dimming Mirrors, Blind Spot Assist, COMAND® System w/Hard Drive Navigation, DVD Player, Garage Door Opener, harman/kardon®® Logic 7® Audio System, Heated Front Seats, Illuminated Star, KEYLESS GO®, Multimedia Package, Panorama Sunroof, Premium Package, Rear-View Camera, Single CD/DVD Player, SIRIUSXM Satellite Radio, SiriusXM Traffic & Weather, Voice Control. Recent Arrival! Certified. Mercedes-Benz Certified Pre-Owned means you not only get the reassurance of an additional 12months Limited Warranty on top of the existing factory warranty or up to 100,000 miles of coverage. We also we do up to 154-point rigorous inspection / reconditioning, 24 hour roadside assistance, trip-interruption services, and a complete CARFAX vehicle history report. Odometer is 4013 miles below market average! CARFAX One-Owner. Cirrus White 2016 Mercedes-Benz GLA 250 GLA 250 2.0L I4 DI Turbocharged FWD 7-Speed Automatic Clean CARFAX. Mercedes-Benz Certified Pre-Owned Details: * Transferable Warranty * Includes Trip Interruption Reimbursement and 7 days/500 miles Exchange Privilege * 165 Point Inspection * Warranty Deductible: $0 * Limited Warranty: 12 Month/Unlimited Mile beginning after new car warranty expires or from certified purchase date * Roadside Assistance * Vehicle History Plus government fees and taxes, any finance charges, $80 dealer document processing charge, any electronic filing charge and any emission testing charge. Some of our Pre-Owned vehicles may be subject to unrepaired safety recalls. Check for a vehicle's unrepaired recalls by VIN at http://vinrcl.safercar.gov/vin/Auto-Dimming Mirrors, Blind Spot Assist, COMAND® System w/Hard Drive Navigation, DVD Player, Garage Door Opener, harman/kardon®® Logic 7® Audio System, Heated Front Seats, Illuminated Star, KEYLESS GO®, Multimedia Package, Panorama Sunroof, Premium Package, Rear-View Camera, Single CD/DVD Player, SIRIUSXM Satellite Radio, SiriusXM Traffic & Weather, Voice Control. Recent Arrival! Certified. Mercedes-Benz Certified Pre-Owned means you not only get the reassurance of an additional 12months Limited Warranty on top of the existing factory warranty or up to 100,000 miles of coverage. We also we do up to 154-point rigorous inspection / reconditioning, 24 hour roadside assistance, trip-interruption services, and a complete CARFAX vehicle history report. Odometer is 4013 miles below market average! CARFAX One-Owner. Cirrus White 2016 Mercedes-Benz GLA 250 GLA 250 2.0L I4 DI Turbocharged FWD 7-Speed Automatic Clean CARFAX. Active Blind Spot Assist, Blind Spot Assist, COMAND® Navigation & Voice Control, KEYLESS GO®, Multimedia Package, Navigation Map Updates Included For 3 Years, Panorama Sunroof, Premium 1 Package, Rear-View Camera, SiriusXM Satellite Radio, SiriusXM Traffic and Weather Services, Surround Light Mirror Mounted Entry Lamps. Certified. Mercedes-Benz Certified Pre-Owned means you not only get the reassurance of an additional 12months Limited Warranty on top of the existing factory warranty or up to 100,000 miles of coverage. We also we do up to 154-point rigorous inspection / reconditioning, 24 hour roadside assistance, trip-interruption services, and a complete CARFAX vehicle history report. CARFAX One-Owner. Palladium Silver 2016 Mercedes-Benz C-Class C 300 2.0L I4 Turbocharged RWD 7G-TRONIC PLUS 7-Speed Automatic Clean CARFAX. Mercedes-Benz Certified Pre-Owned Details: * Roadside Assistance * Vehicle History * Limited Warranty: 12 Month/Unlimited Mile beginning after new car warranty expires or from certified purchase date * Includes Trip Interruption Reimbursement and 7 days/500 miles Exchange Privilege * 165 Point Inspection * Warranty Deductible: $0 * Transferable Warranty Plus government fees and taxes, any finance charges, $80 dealer document processing charge, any electronic filing charge and any emission testing charge. Some of our Pre-Owned vehicles may be subject to unrepaired safety recalls. Check for a vehicle's unrepaired recalls by VIN at http://vinrcl.safercar.gov/vin/Active Blind Spot Assist, Blind Spot Assist, COMAND® Navigation & Voice Control, KEYLESS GO®, Multimedia Package, Navigation Map Updates Included For 3 Years, Panorama Sunroof, Premium 1 Package, Rear-View Camera, SiriusXM Satellite Radio, SiriusXM Traffic and Weather Services, Surround Light Mirror Mounted Entry Lamps. Certified. Mercedes-Benz Certified Pre-Owned means you not only get the reassurance of an additional 12months Limited Warranty on top of the existing factory warranty or up to 100,000 miles of coverage. We also we do up to 154-point rigorous inspection / reconditioning, 24 hour roadside assistance, trip-interruption services, and a complete CARFAX vehicle history report. CARFAX One-Owner. REAR VIEW CAMERA, Blind Spot Assist, COMAND® Navigation & Voice Control, KEYLESS GO®, Multimedia Package, Navigation Map Updates Included For 3 Years, Panorama Sunroof, Premium 1 Package, Rear-View Camera, SiriusXM Satellite Radio, SiriusXM Traffic and Weather Services, Surround Light Mirror Mounted Entry Lamps. Recent Arrival! Certified. Mercedes-Benz Certified Pre-Owned means you not only get the reassurance of an additional 12months Limited Warranty on top of the existing factory warranty or up to 100,000 miles of coverage. We also we do up to 154-point rigorous inspection / reconditioning, 24 hour roadside assistance, trip-interruption services, and a complete CARFAX vehicle history report. CARFAX One-Owner. Des Cardinal Re 2016 Mercedes-Benz C-Class C 300 2.0L I4 Turbocharged RWD 7G-TRONIC PLUS 7-Speed Automatic Clean CARFAX. Mercedes-Benz Details: * Roadside Assistance * Limited Warranty: 12 Month/Unlimited Mile beginning after new car warranty expires or from certified purchase date * Vehicle History * 165 Point Inspection * Includes Trip Interruption Reimbursement and 7 days/500 miles Exchange Privilege * Warranty Deductible: $0 * Transferable Warranty Plus government fees and taxes, any finance charges, $80 dealer document processing charge, any electronic filing charge and any emission testing charge. Some of our Pre-Owned vehicles may be subject to unrepaired safety recalls. Check for a vehicle's unrepaired recalls by VIN at http://vinrcl.safercar.gov/vin/REAR VIEW CAMERA, Blind Spot Assist, COMAND® Navigation & Voice Control, KEYLESS GO®, Multimedia Package, Navigation Map Updates Included For 3 Years, Panorama Sunroof, Premium 1 Package, Rear-View Camera, SiriusXM Satellite Radio, SiriusXM Traffic and Weather Services, Surround Light Mirror Mounted Entry Lamps. Recent Arrival! Certified. 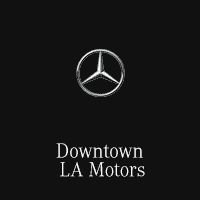 Mercedes-Benz Certified Pre-Owned means you not only get the reassurance of an additional 12months Limited Warranty on top of the existing factory warranty or up to 100,000 miles of coverage. We also we do up to 154-point rigorous inspection / reconditioning, 24 hour roadside assistance, trip-interruption services, and a complete CARFAX vehicle history report. CARFAX One-Owner. Des Cardinal Re 2016 Mercedes-Benz C-Class C 300 2.0L I4 Turbocharged RWD 7G-TRONIC PLUS 7-Speed Automatic Clean CARFAX. REAR VIEW CAMERA, 4MATIC®, Active Blind Spot Assist, Artico Instrument Cluster, Panorama Sunroof, Premium 1 Package, Sport Package. Recent Arrival! Certified. Mercedes-Benz Certified Pre-Owned means you not only get the reassurance of an additional 12months Limited Warranty on top of the existing factory warranty or up to 100,000 miles of coverage. We also we do up to 154-point rigorous inspection / reconditioning, 24 hour roadside assistance, trip-interruption services, and a complete CARFAX vehicle history report. Polar White 2016 Mercedes-Benz C-Class C 300 4MATIC® 2.0L I4 Turbocharged 4MATIC® 7G-TRONIC PLUS 7-Speed Automatic Clean CARFAX. Mercedes-Benz Certified Pre-Owned Details: * Includes Trip Interruption Reimbursement and 7 days/500 miles Exchange Privilege * 165 Point Inspection * Limited Warranty: 12 Month/Unlimited Mile beginning after new car warranty expires or from certified purchase date * Warranty Deductible: $0 * Roadside Assistance * Vehicle History * Transferable Warranty Plus government fees and taxes, any finance charges, $80 dealer document processing charge, any electronic filing charge and any emission testing charge. Some of our Pre-Owned vehicles may be subject to unrepaired safety recalls. Check for a vehicle's unrepaired recalls by VIN at http://vinrcl.safercar.gov/vin/REAR VIEW CAMERA, 4MATIC®, Active Blind Spot Assist, Artico Instrument Cluster, Panorama Sunroof, Premium 1 Package, Sport Package. Recent Arrival! Certified. Mercedes-Benz Certified Pre-Owned means you not only get the reassurance of an additional 12months Limited Warranty on top of the existing factory warranty or up to 100,000 miles of coverage. We also we do up to 154-point rigorous inspection / reconditioning, 24 hour roadside assistance, trip-interruption services, and a complete CARFAX vehicle history report. Polar White 2016 Mercedes-Benz C-Class C 300 4MATIC® 2.0L I4 Turbocharged 4MATIC® 7G-TRONIC PLUS 7-Speed Automatic Clean CARFAX. Android Auto, Apple CarPlay, Blind Spot Assist, COMAND® System w/Hard Drive Navigation, DVD Player, harman/kardon® Sound System, Heated Front Seats, KEYLESS GO®, Multimedia Package, Navigation Map Updates Included For 3 Years, Panorama Sunroof, Premium 1 Package, Single CD/DVD Player, SiriusXM Satellite Radio, Smartphone Integration, Smartphone Integration (14U). Certified. Mercedes-Benz Certified Pre-Owned means you not only get the reassurance of an additional 12months Limited Warranty on top of the existing factory warranty or up to 100,000 miles of coverage. We also we do up to 154-point rigorous inspection / reconditioning, 24 hour roadside assistance, trip-interruption services, and a complete CARFAX vehicle history report. Odometer is 8934 miles below market average! CARFAX One-Owner. Priced below KBB Fair Purchase Price! Cirrus White 2017 Mercedes-Benz CLA 250 CLA 250 2.0L I4 Turbocharged FWD 7-Speed Double-clutch Clean CARFAX. Mercedes-Benz Certified Pre-Owned Details: * Roadside Assistance * Transferable Warranty * Vehicle History * Warranty Deductible: $0 * Limited Warranty: 12 Month/Unlimited Mile beginning after new car warranty expires or from certified purchase date * Includes Trip Interruption Reimbursement and 7 days/500 miles Exchange Privilege * 165 Point Inspection Awards: * ALG Residual Value Awards Plus government fees and taxes, any finance charges, $80 dealer document processing charge, any electronic filing charge and any emission testing charge. Some of our Pre-Owned vehicles may be subject to unrepaired safety recalls. Check for a vehicle's unrepaired recalls by VIN at http://vinrcl.safercar.gov/vin/Android Auto, Apple CarPlay, Blind Spot Assist, COMAND® System w/Hard Drive Navigation, DVD Player, harman/kardon® Sound System, Heated Front Seats, KEYLESS GO®, Multimedia Package, Navigation Map Updates Included For 3 Years, Panorama Sunroof, Premium 1 Package, Single CD/DVD Player, SiriusXM Satellite Radio, Smartphone Integration, Smartphone Integration (14U). Certified. Mercedes-Benz Certified Pre-Owned means you not only get the reassurance of an additional 12months Limited Warranty on top of the existing factory warranty or up to 100,000 miles of coverage. We also we do up to 154-point rigorous inspection / reconditioning, 24 hour roadside assistance, trip-interruption services, and a complete CARFAX vehicle history report. Odometer is 8934 miles below market average! CARFAX One-Owner. Priced below KBB Fair Purchase Price! Cirrus White 2017 Mercedes-Benz CLA 250 CLA 250 2.0L I4 Turbocharged FWD 7-Speed Double-clutch Clean CARFAX. Pre-owned pricing includes all offers. Tax, Title and Tags not included in vehicle prices shown and must be paid by the purchaser. While great effort is made to ensure the accuracy of the information on this site, errors do occur so please verify information with a customer service rep. This is easily done by calling us at 213-394-3988 or by visiting us at the dealership.